I needed a birthday card for a gal who loves blue and is an industrial designer. That's all I know about her since this is a commission card. I had trouble deciding between flowers or some cute animal. I prefer to use animals more than flowers because they seem warmer and more animated but this time, I had no idea what animals this gal might like, if any at all. This image seemed like a good compromise between fauna and flora. 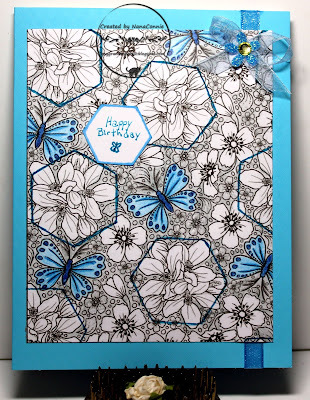 I thought the butterflies and the flowers made it a bit feminine and the hexagon shapes added a modern industrial flair. 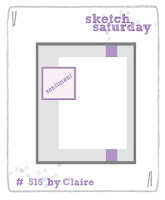 I based my card on the sketch from Sketch Saturday. I started with an image (actually it's a coloring page which I reduced to size) from Delicious Doodles, colored with pencils and ProMarkers. I printed and sized the image twice, gave both a light, gray scale background, then used a hexagon die from QuicKutz to cut the poppies from one of the images. I cut the sentiment with another, smaller, hexagon die from that same set, inked the edges with a lighter ProMarker, and added it to the image. I used three layers of sheer, blue, ribbon to wrap the card front, then tied a small bow with a single layer of the same ribbon. I added a glittered flower to the center. I don't make sympathy cards ahead of time - they just aren't the cards I want to do. So I leave them until I need one and then make it in the midst of emotion. Unfortunately, I lost a sweet friend in my neighborhood on Friday and I've made this card for her two grown grandsons, the closest relatives she had. Her own daughter passed on several years ago and the grandsons and 3 great-grands are all the family she had left. They lived back east and she was in California so none of the family had seen her since her daughter passed on. to get some inspiration and a starting point. 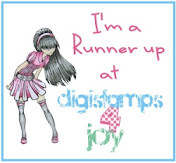 The image is from Digistamps4Joy and I kept in mind her favorite colors, pink and green. I used my polychromos pencils and ProMarkers to color the image, then cut it with a Die-Versions double-stitched die. Other than the image, everything on the card is done from scraps. 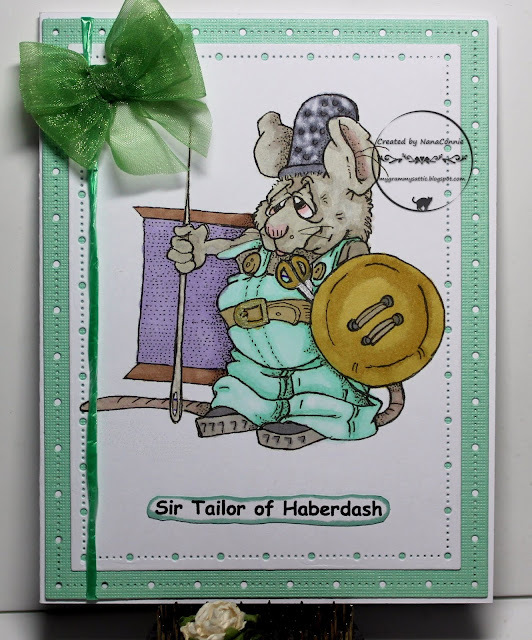 The card front was embossed with my "Linen" folder, then I layered together the pink and green scraps and cut them with that same die, which gave me the second, outer row of stitching. I printed and hand cut the sentiment, adding it to one side. I tied one of my bow tie bows using my bow maker. Happy Memorial Day and thanks to all our veterans! But I loved time spent fishing with my dad and a majority of our camping trips included creeks, rivers, and ponds where fishing was abundant. That meant lots of meals of trout, bass, and perch. I wasn't crazy about eating fish but it wasn't like you could camp in the middle of nowhere and catch peanut and butter sandwiches! sideways to better fit the shape of my image. I colored the image with ProMarkers, then used a QuicKutz die to cut it. The sentiment is also cut with a QuicKutz die. 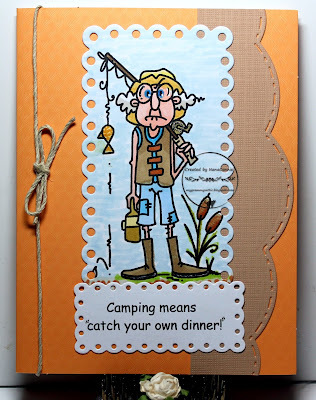 The kraft side piece is cut with a stitched, border die from Spellbinders. I dug through my stash until I found the kraft-colored jute cord, then tied it around the card front, knotting it into a small bow. That seemed enough since this is not only a CAS card but a masculine one. Wouldn't this make a great Father's Day card for a man who loves to either camp or fish? 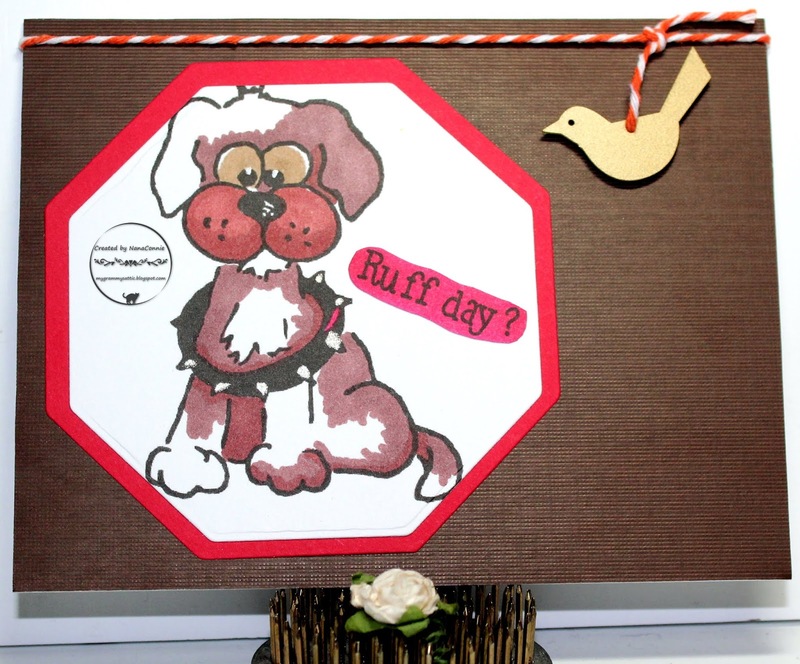 This adorable little pup is from Crackerbox Palace and I'm entering their new challenge. 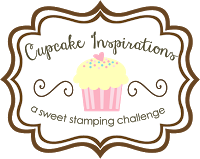 They are now combined with So Suzy Stamps and you can find the challenge by clicking on this LINK. Naturally, I colored with my ProMakers, then I cut the image with an octagon die from QuicKutz. I cut a mat from red CS with a die one size larger. I printed the sentiment, hand cut it, inked over it with a ProMarker and mounted that right onto the image piece. 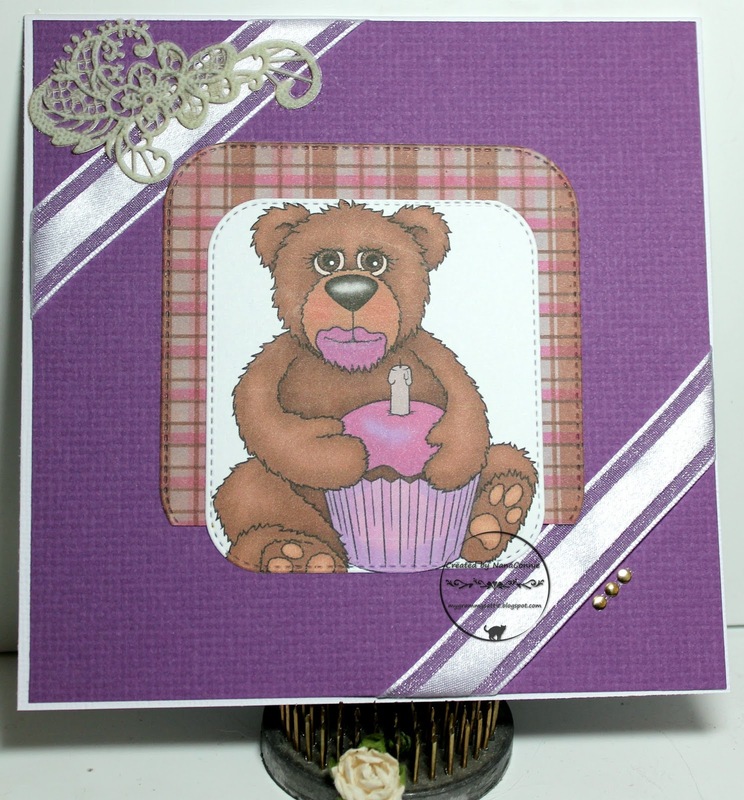 I added that to brown CS, embossed in my "Linen" folder. I wrapped twine around it and added the metal bird charm which is popped up on dimension dots. The current challenge for Ching-Chou Kuik on their FB site has a theme of "Black and White plus 1 color." Of course, I had to use my favorite color, purple! I colored all the gray scale with ProMarkers and then added the bits of purple to the image. I fussy cut the image and inked the edges with ProMarkers. I added white highlights with a gel pen. 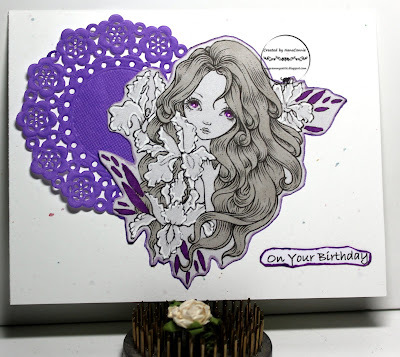 I decided on a card base made from 'confetti' CS, then found the doily and colored it purple. I printed the sentiment, hand cut it, and inked the edges. I layered everything onto the card front and left it very CAS - no embellishments, just lots of open space. When I was a child, my mother's favorite expression for going wild and doing crazy, perhaps even slightly naughty things, was "...and they painted the town red!" 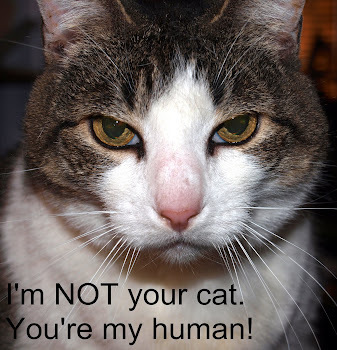 I loved the expression and thought it was delightfully descriptive. When I saw this sweet image in the QKR Stampede store ("Paint Puppy"), I knew right away I was going to use it for my DT card for this week's challenge at QKR Stampede. The image is colored with ProMarkers and cut with a die from Cottage Cutz. 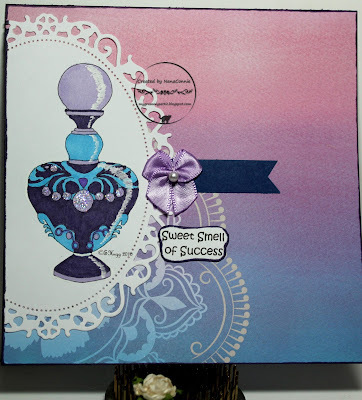 The background is kraft CS cut with a die from Gina Marie Designs. The two "painted" bits of dp are scraps which were in my basket and they just seemed to work perfectly. The sentiment was printed, hand cut, and inked, then I added one of my signature, hand-sewn bows. 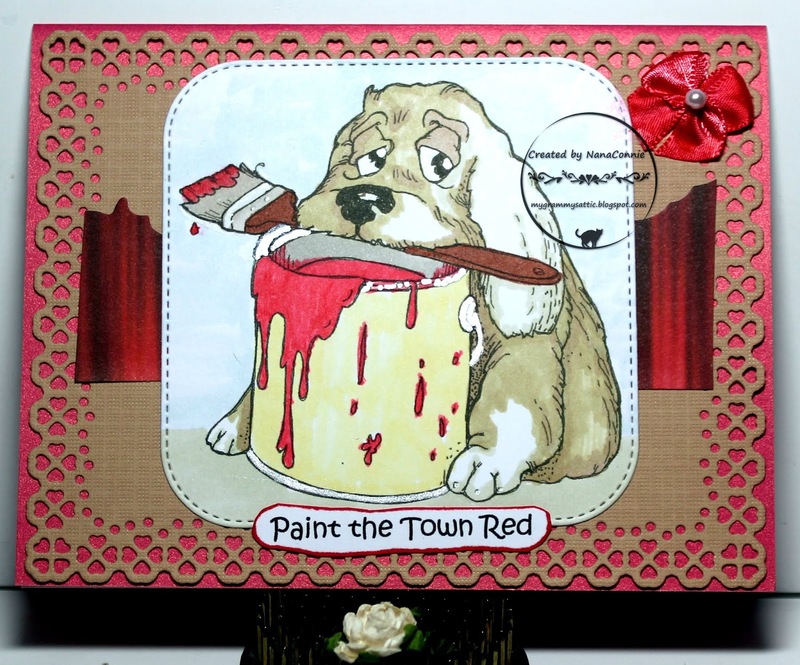 Everything was layered onto a shiny, red, card base. 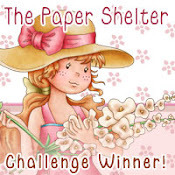 Once again, I'm doing a GDT card for the newest challenge at Colour Crazy and our sponsor this fortnight is The Paper Shelter. 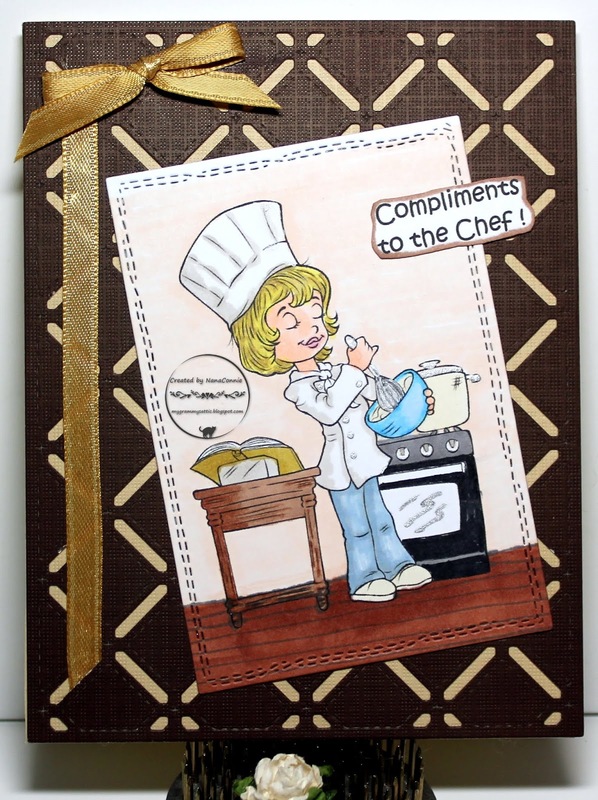 The image is called "Great Baker," although I'm treating her as a chef, and I'm using this card as a thank you for the hostess of a dinner party. I think it's perfect! I colored the image with ProMarkers, then cut it with a CUTplorations stitched die. The brown CS is cut with a Memory Box die, dry embossed with my 'Linen' folder, and backed with beige paper. I added the golden ribbon and tied a simple bow. The sentiment was printed, hand cut, and inked on the edges. It's been a long, long time since I used an image from All Dressed Up and I decided it was time to correct that. I'm sending a packet of wildflower seeds to a friend of mine for her blog anniversary and needed a card to enclose with them. This adorable image of the two mice seemed perfect. 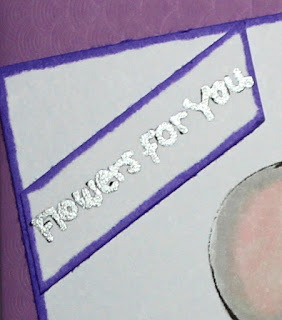 I started with a dry-embossed, lavender card base. I had already decided to make this really CAS since I have to mail it and there will be a packet of seeds inside it. 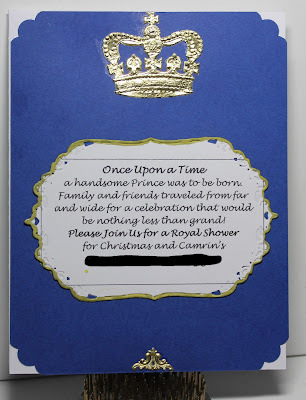 I didn't want to add to the thickness of the envelope by adding lots of embellishments. 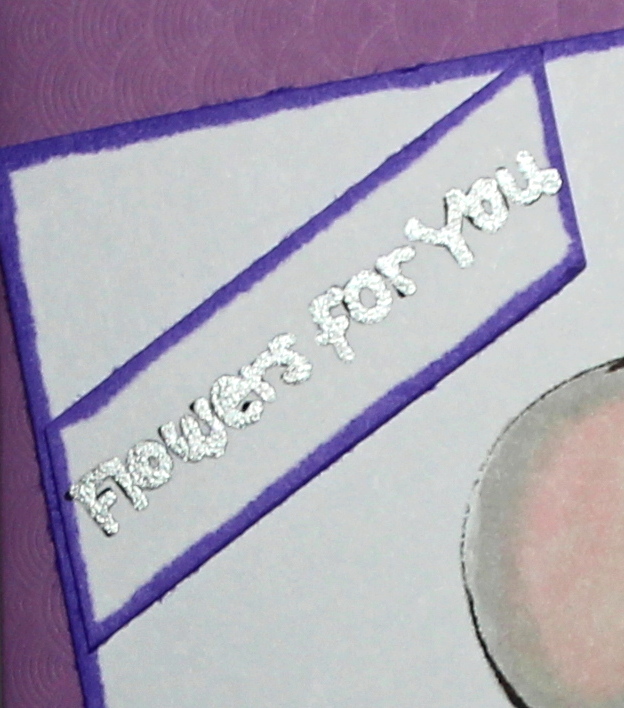 When it came to the sentiment, I decided to add a bit of glam by heat embossing it with silver EP. I printed the sentiment, then used a Versa-Mark pen to write over the letters, and then added the EP. Here's a close up since it doesn't show really well in the photo above. The flowers are beginning to bloom in my garden and my first dahlias buds have showed their faces. Soon we'll have lovely large blossoms to put in bouquets. I love dahlias and I'm celebrating their arrival with this card. 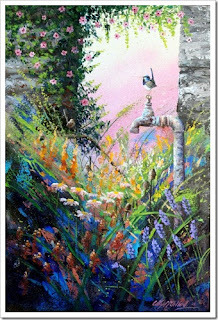 The image is from Ching-Chou Kuik. 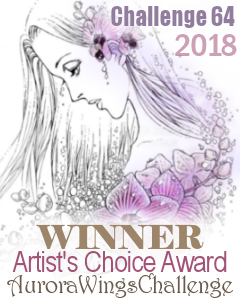 I based my card design on the sketch at Stella Says Sketch. 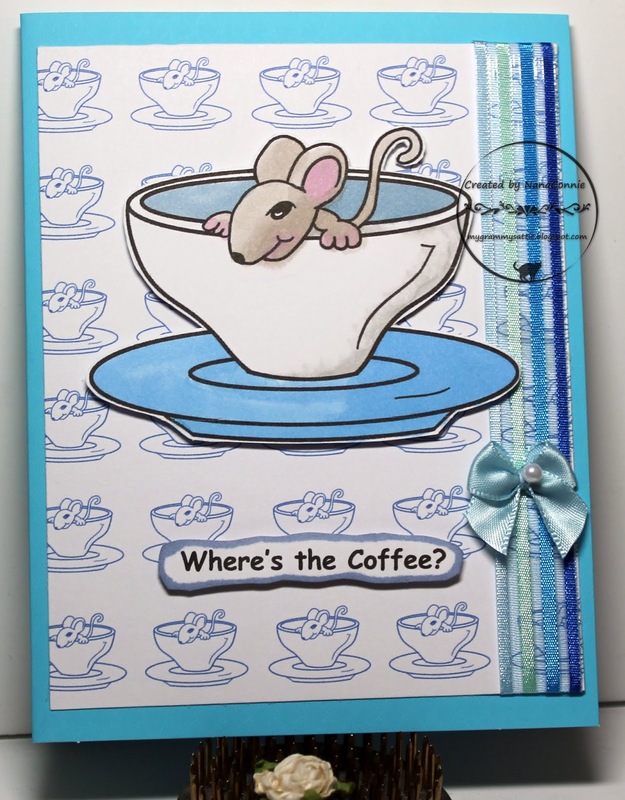 The image is colored with ProMarkers and die cut with an oval die from Cheapo Dies. The green mat is also cut with a die from that same set. I added a bit of green dp which was in my scrap basket. The card front was dry embossed, although that's hard to see in the photo. 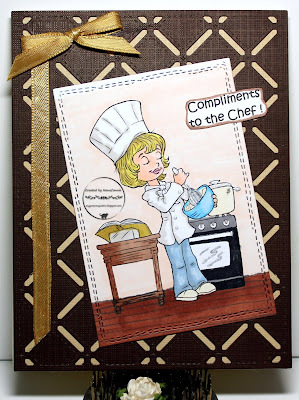 I layered on the green CS mat, then ran ribbon along the vertical line where the dp and dry embossing met. On top of that, I layered on the image piece. I printed, hand cut, and matted the sentiment before adding it. For embellishment, I found metal brads and heated them with my heat gun before dipping the heads into dark green embossing powder. The powder melts onto the hot brad heads and that way, you can use brads which are whatever color you need. They end up looking like shiny pearls. My final touch was to 'dye' one of my white bows with green ProMarker, leaving the pearl white, and adding the bow to the lower portion of the image. Still working on my stash of birthday cards and for this one I dug through my collection of stamps from Angie's. What's more perfect for a feminine card than a kitten in her best frock and bonnet? 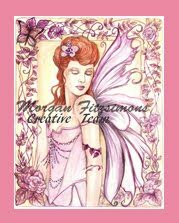 I used ProMarkers to color the image and used Sizzix dies to cut it and the two layers behind it. The plaid dp was from my scrap basket and I don't remember the maker. The satin ribbon has an interesting pattern in it which is textured. I'm working on my stash of birthday cards again so you'll see another two or three of them this week. 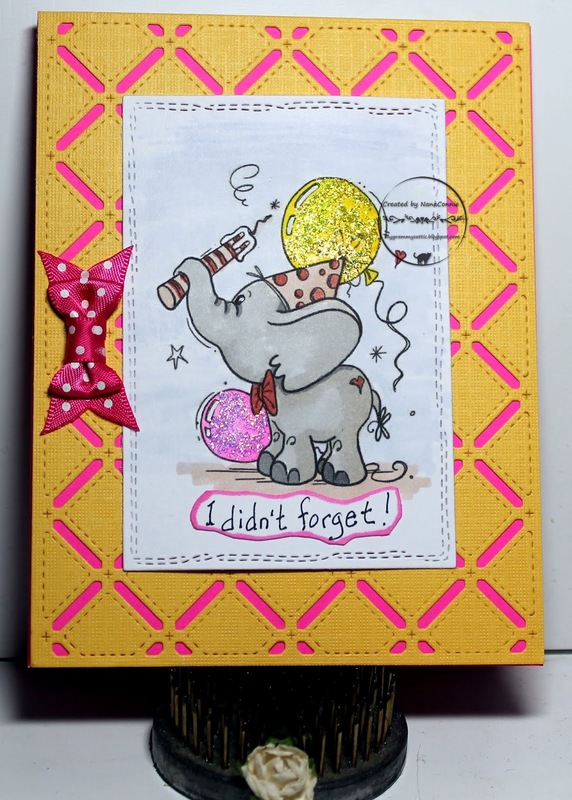 This one is made using one of the cutest elephant images from Bugaboo Stamps. I started by coloring with ProMarkers, then added glitter to both balloons for some sparkle. I printed and hand cut the sentiment, matted it and added it to the bottom of the image. I cut the image piece with a stitched die from CUTplorations. The yellow part of the background was cut with a stitched Memory Box die and then layered onto some bright pink CS before adhering it to the card front. This darling little fairy sitting on her toadstool is from Lemon Shortbread and I'm totally in love with her! I think she'll be perfect for a birthday card or just to please any young lady who loves fairies, or princesses, or who might love a bit of cheering up. I started by coloring the image with ProMarkers, added loose glitter to her wing and her crown, then I die cut it with an oval die from QuicKutz. I cut the glittered frame for it with another die from that same set. I used dp scraps which originally came from the "Basics" pad by DCWV. I found some of my favorite sheer ribbon and wrapped it around the card front, tied it, then added one of my hand-sewn, satin bows. The bow had been white but I 'dyed' it with a ProMarker to get that exact shade of blue. The sentiment was printed, hand cut, inked on the edges, and then adhered across the lower part of the ribbon. At first, I thought about a pink and girly color theme but then decided that pale lavender would work just as well and I could use dp with both lavender and pink in it. I colored with ProMarkers, then fussy cut the image. I chose a lavender card base, found dp from Recollections, trimmed it to size and added it on top of the card base. I wanted it to be a bit more feminine so I added the lace to it after weaving through the pink, satin, ribbon. I mounted the ballerina on Pop Dots, then put it right over the feather. The sentiment is printed, hand cut, and inked before layering it onto the ribbon. What a great morning this is! I've added one more card to my stash of birthday cards, this one for a 1-year-old. 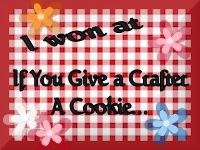 The image is from Beccy's Place (I love his frosting mustache and beard!) where the challenge has a fun optional theme of flipping a coin. There are 4 categories and 2 choices in each category. You flip a coin and choose the design item under either the "heads' or the "tails" column, depending on which comes up when you flip the coin. 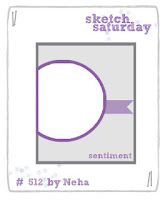 I ended up with "Use a Sketch" - "Color with Markers" - "Ribbon" - and "No Sentiment." The sketch is from Outlawz. I used ProMarkers to color, then printed, and cut a snippet of plaid dp which is also from Beccy's Place. I cut the image with another, smaller, die from that same Cottage Cuts die set. The ribbons were scrap pieces from my stash and the lace flourish in the corner came from Recollections. I can't even begin to tell you how long I've had that piece! I added three tiny metal brads to the lower corner. It's time for the latest challenge to start at World Wide Open DT and our theme is always "Anything Goes." 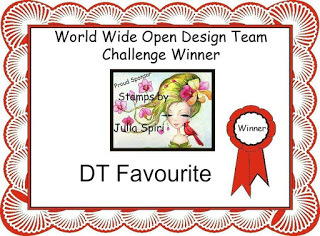 Our challenges are sponsored by Julia Spiri and she is generous enough to give images to the DT members to use on their projects. The image is colored with ProMarkers, polychromos pencils, and gel pen. Although it's difficult to see in the photo, the unicorn's horn is silver but the reflection from it makes it look white in the photo. I fussy cut the image and set it inside a die cut frame (Amy Designs) which I trimmed to eliminate the bottom portion. I put the image inside the frame when I mounted them onto the green card front. I used white gel pen to highlight the flowers, then added tiny dots of Nuvo Crystal Drops to the flower centers and butterfly wings. Finally, I sewed together a tiny, purple bow and added it. Our weather last week felt more like early summer than spring so I'm beginning to work on summer cards. 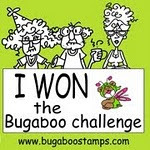 I had fun with this Bugaboo Stamps image which is actually 2 different images, merged together. 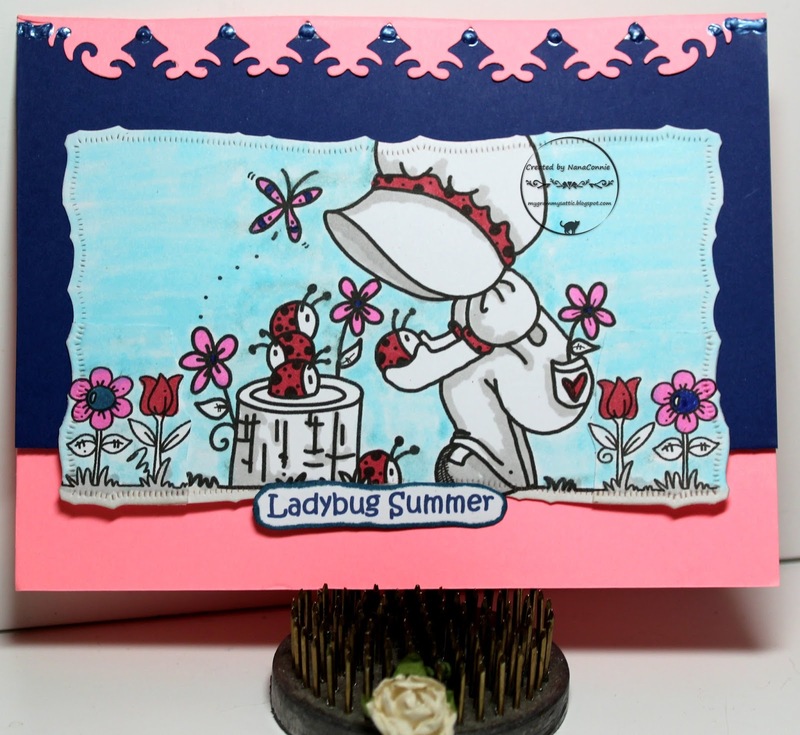 Fancy Sunbonnet is one of my favorite Bugaboo characters and I use her every chance I get. I think I have nearly every image which features her. but turned sideways to accommodate the shape of my image. I colored with ProMarkers and added the two flowers on each side of the image. They are from the second image, cut in half with a middle flower removed. 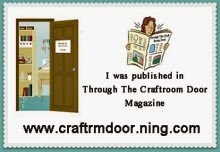 After they were adhered, I used a die from Spellbinders to cut the image piece. I printed the sentiment, hand-cut it, and added it to the bottom of the image. Making the card base was a bit more complex. The pink CS part was left over from a die cut I did last week. It was a large enough scrap to make and A2 size back flap plus enough of the decorative edge to fold over and adhere to a front flap. I used a scrap of navy blue CS which is smaller than an A2 size but worked as a short front flap to which I could attach the image piece. I added tiny, dark blue, Nuvo Crystal Drops along the decorative edge and called it finished. The Happiest Mother's Day to all of you who are moms! I did one more card which I'm going to use as a Mom's Day card even though the image could work for any occasion or even a non-occasion. 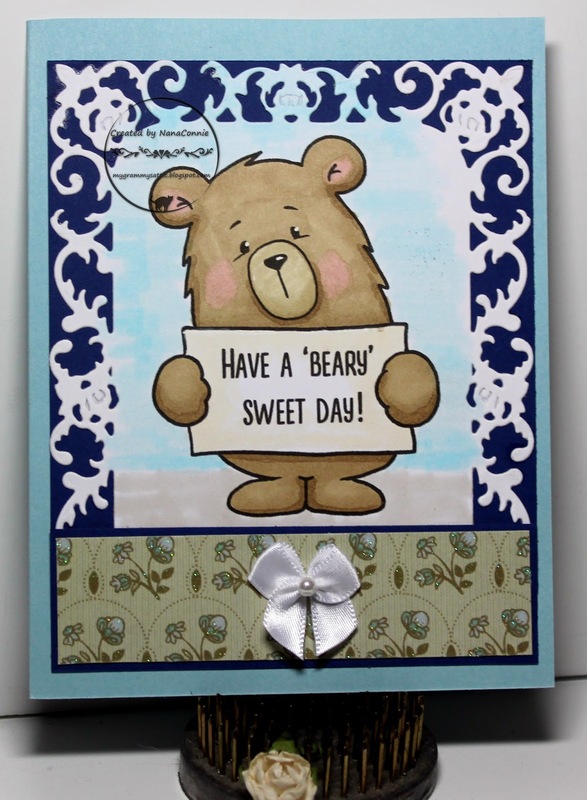 That sweet bear came from Gerda Steiner Designs and was the most recent image for their monthly progressive challenge. Unfortunately, they've had to drop their challenge but I'm posting the card anyway just because the image is so adorable. I used my ProMarkers to color the image (printed on a scrap of white CS), then cut it with a framing die from Spellbinders. The die was longer than I wanted so I covered the the bottom with a scrap of dp from the DCWV Linen Closet stack. I matted everything with another scrap of navy blue CS and layered that onto a light blue card front. My signature, hand-sewn, bow is the only embellishment. This time, the plain white seemed to work best so I didn't even dye it like I usually do. I've really been into blues the last three days! 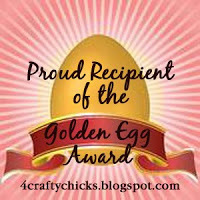 I hope my blogging friend, Lynn, appreciates it! lol She totally loves blue; lots of it and any shade there is. Before I even started coloring, I decided I wanted a very simple design. I colored with ProMarkers and cut it with a die from Spellbinders. 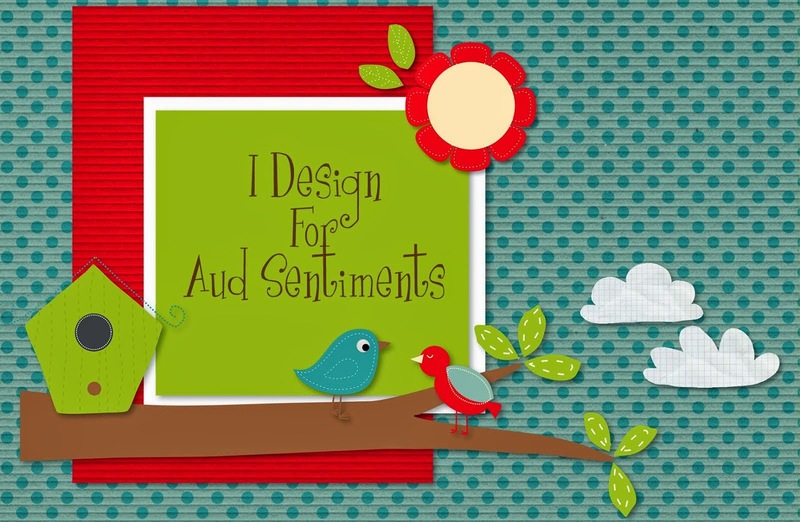 The sentiment is cut with a Cheery Lynn die. I cut three of them and stacked them together for a bit of dimension. 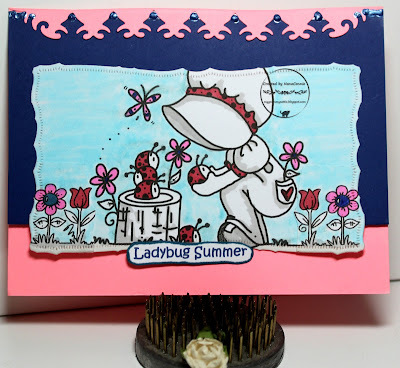 My card today was made with the "Picking Flowers 24184" image and I did a monochromatic blue for my blogging buddy, Lynn, who loves blue as much as I love purple! If I know her as well as I think I do, she'll love this cute bear, too! I started by coloring the image with ProMarkers. I used a Memory Box die to cut both the lighter blue and the center of the darker blue CS. 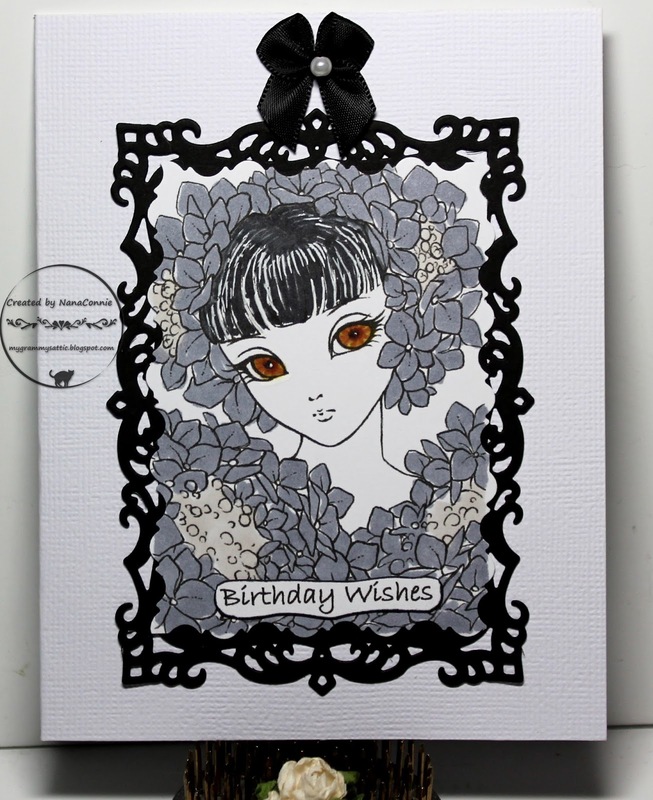 I added the image to the card front and then added the double-layer frame. 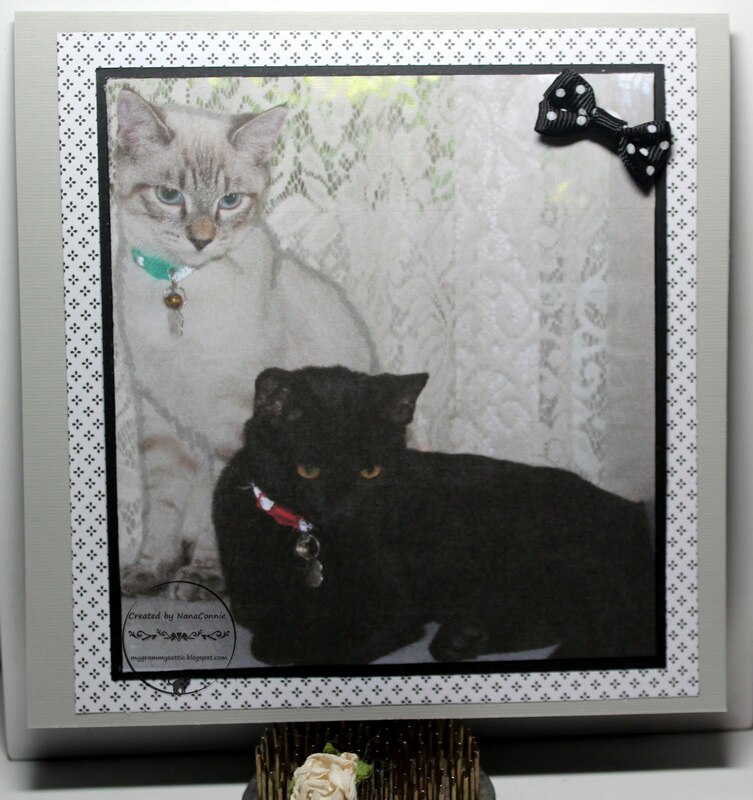 I love making double-layer frames; it's a favorite technique of mine although I don't use it as much as I'd like because I don't have that many dies with an open center for the image. Because that frame is so intricate, I didn't want any other embellishment. I printed the sentiment, hand cut it, inked the edges, and added it at the bottom of the frame. The neat part about MOM is that you never have to pluck flower petals or ask questions about her love. 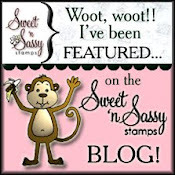 :-D This sweet image is from Sasayaki Glitter and was a freebie from their last FB challenge. Unfortunately, I missed getting it somehow before that challenge ended. 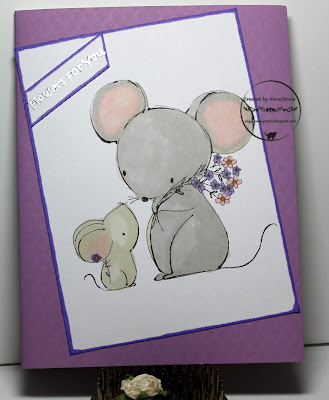 :-( I'm using it anyway because I think it's so cute and I can use it for a Mother's Day card for one of the daughter-moms who gave me lovely grandchildren or even great-grands. 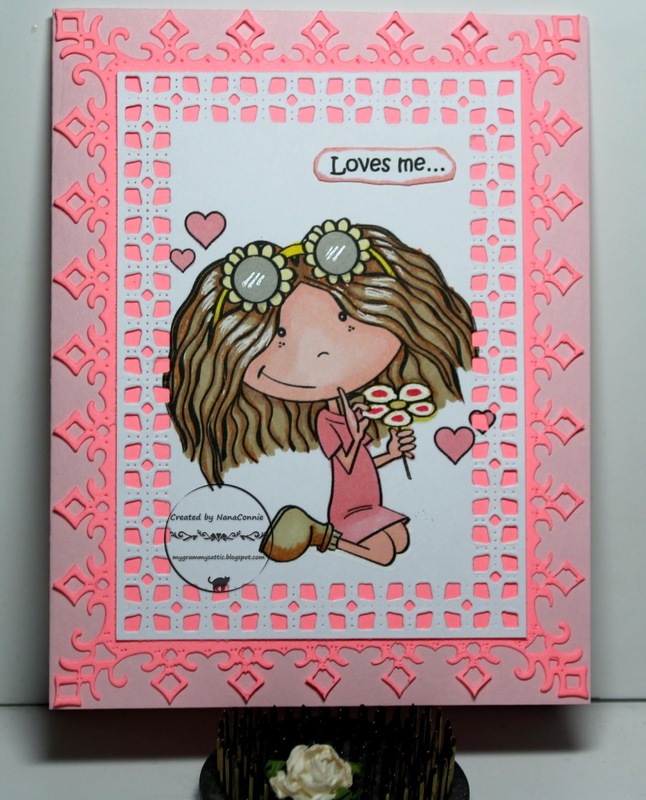 Naturally, I used my ProMarkers to color her in various shades of pink (a favorite color for feminine cards), then die cut her with a die from Cheery Lynn. 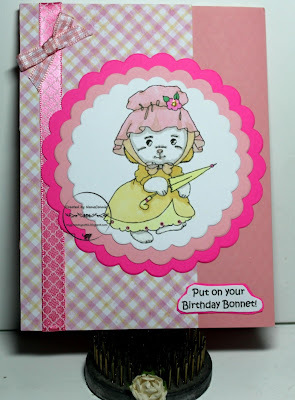 The background pink is cut with another, larger, Cheery Lynn die. 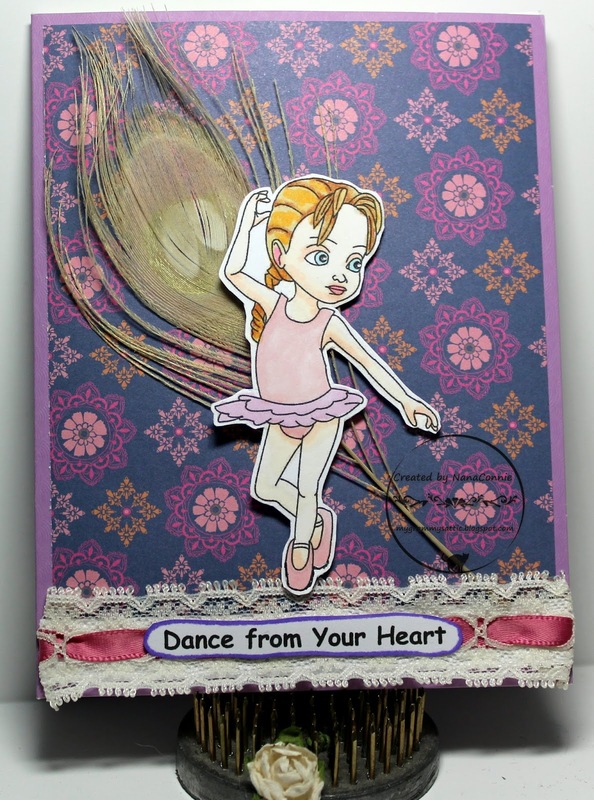 I layered them both onto a pale pink card base. I printed the sentiment, cut it, and inked the edges before adding it. Those dies created such fancy cuts that I decided it needed no embellishment at all. Today you get another post from me but count it as tomorrow's post. I have a full schedule tomorrow and probably won't be anywhere near the computer nor the blog. 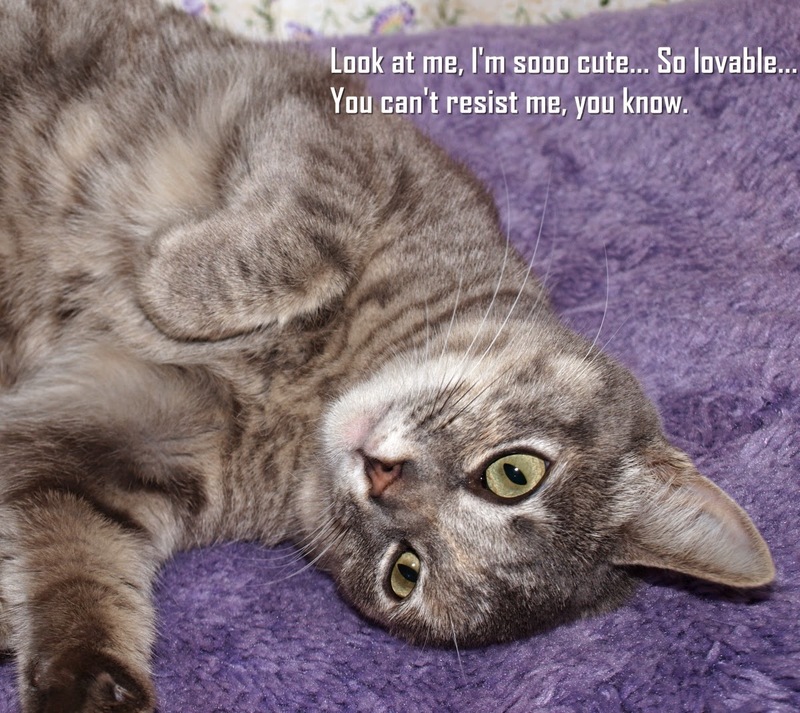 For this card, I used a freebie image from the Progressive Challenge at The Outlawz. This beautiful vintage perfume bottle is by Sandi Huggett. I used my ProMarkers to color the image and those inspiration colors from C.R.A.F.T. allowed me to use my favorite color combo, purple and turquoise. I added a bit of glitter to the jewels on the bottle and I also used a white gel pen to make the reflection of light on the bottle. 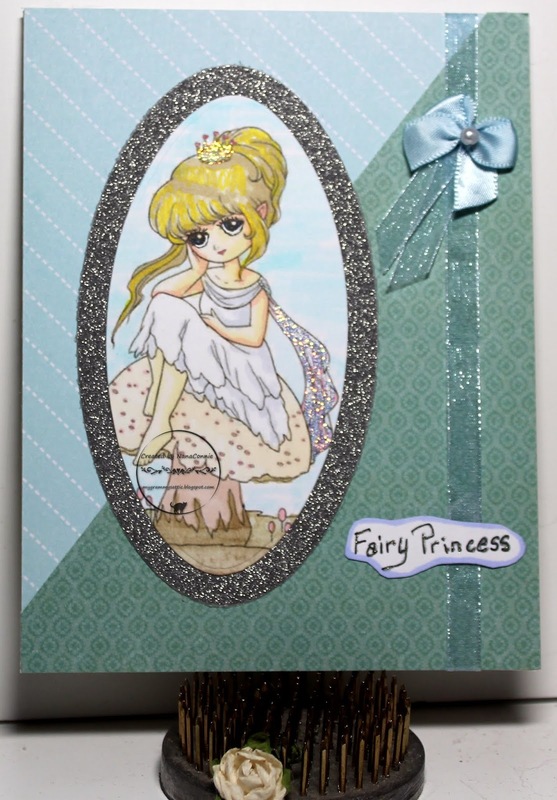 The image is cut with a die from Spellbinders. 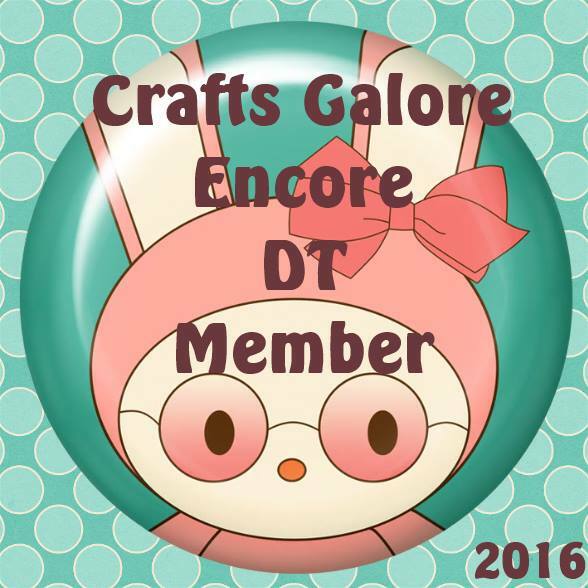 I used some lovely ombre dp from Recollections. I snipped a scrap of navy blue CS into a dovetail and added it across the middle, then hand cut the sentiment, inked the edges, and added it. One of my signature, hand-sewn bows was the final touch. In our extended family we're all looking forward to the birth of new baby. The really special part of this one is that, after a long line of three big sisters, this one is a boy! 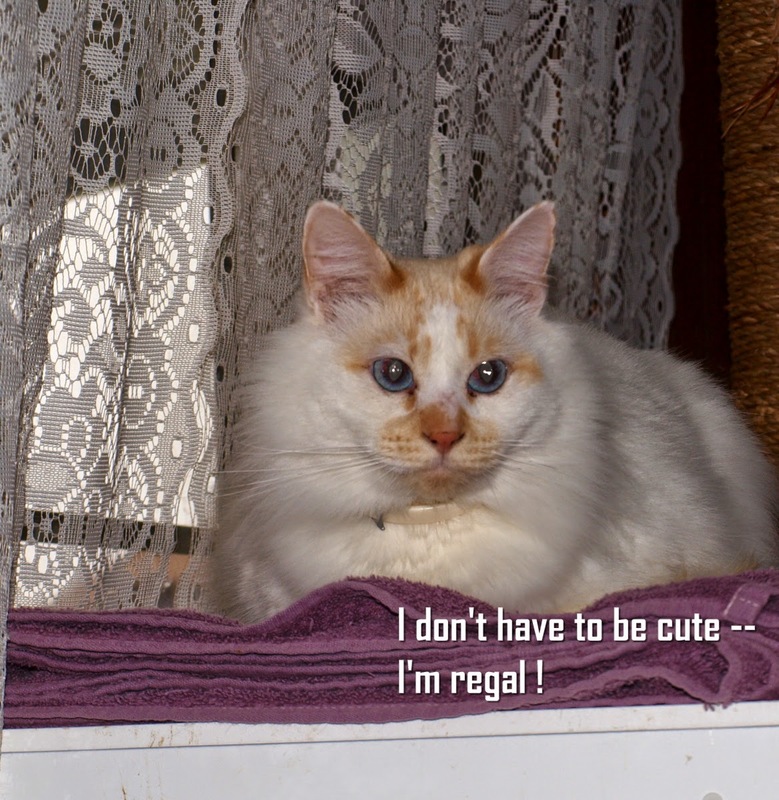 Of course, he'll be treated like royalty. 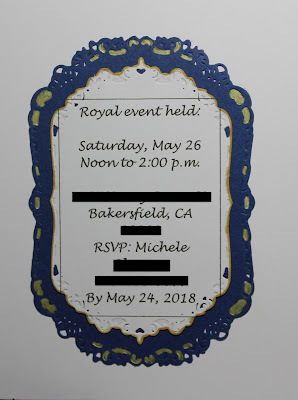 I had the honor of designing and making invitations for the baby shower coming up later this month. inspiration photo at Color Sisters. I can't believe how long it has taken me to get these made. Typing up the text and choosing the font was the easiest part. Laying those out onto a sheet of cardstock so that I could use dies to cut them individually took a little thinking and fussing about but I got it. 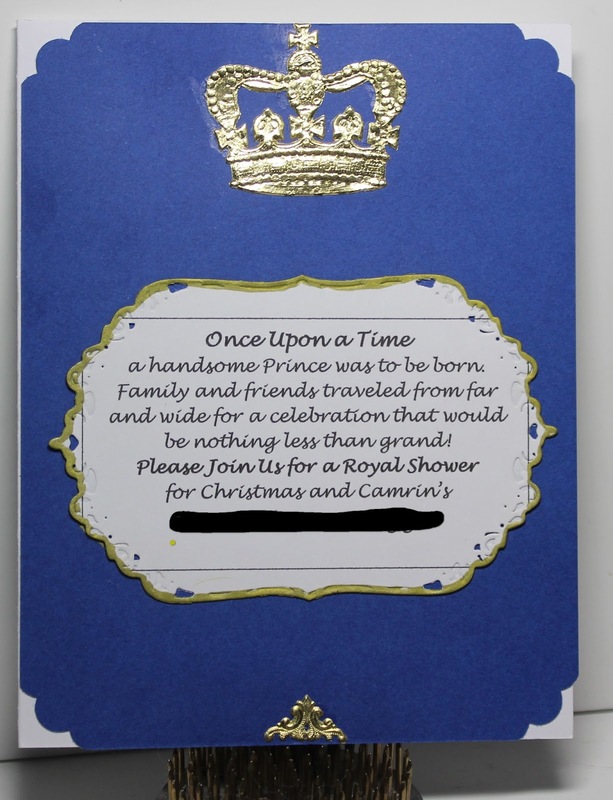 For the front, I used a Fiskar's corner punch on the royal blue CS and mounted that onto the white card base. The text was printed on white CS, die cut with a die from Spellbinders, and then I used a gold ProMarker to ink the edge. The crown and the decorative gold triangle at the bottom were added to enhance the 'little prince' theme. I used dimensional dots to ad those and they give some great dimension to the front. 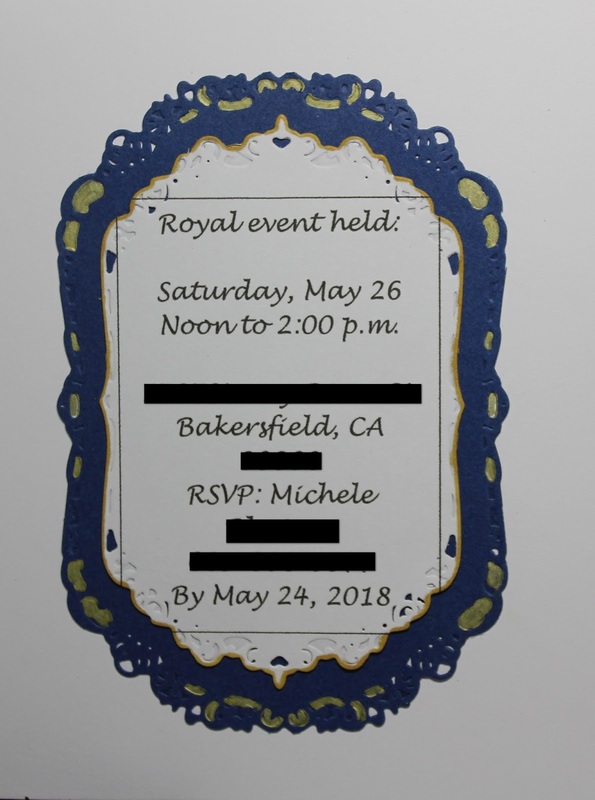 On the inside, I cut the blue CS with another Spellbinders' die, then used the first die to cut the text pieces, layering them together on the inside. After cutting all of those pieces by hand (I made 30 of these! ), I inked the edges and added gold paint to some of the embossed areas on the blue CS. 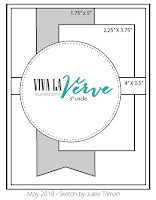 Although they look fairly CAS in design and layout, each invitation took almost 2 hours to complete. Then there's all the addressing and stamping of the envelopes. A time consuming project but fun to do and well worth it. 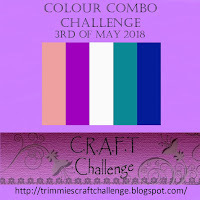 I was lucky enough to be a winner in the Sparkle n Sprinkle challenge last month and today I used one of the images I got as part of my prize. This one was so much fun to color! I used ProMarkers to color the image and water color paints to do the blue sky background. 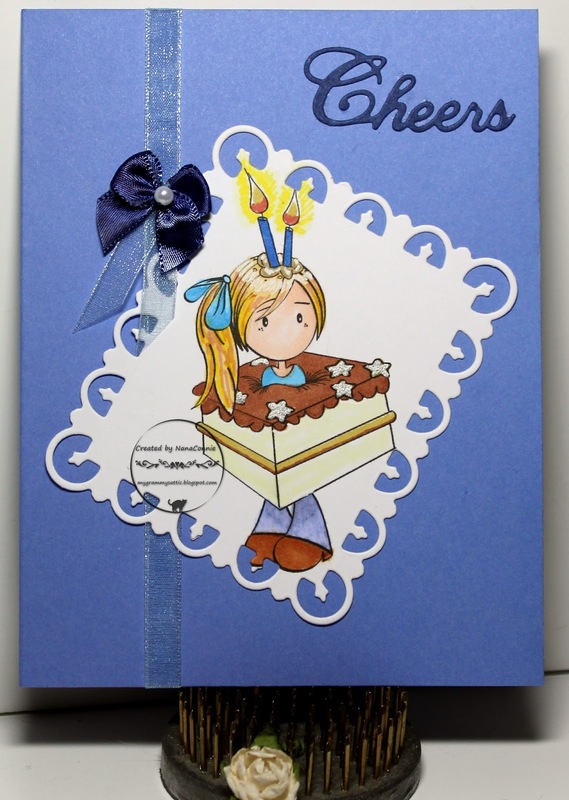 The image is cut with a die from Spellbinders. I found a very wide ribbon in my stash and wrapped it around navy blue CS, then added the image. 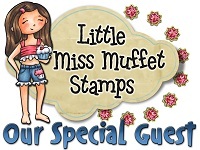 The sentiment is part of the stamp set but I cut it by hand and added it below the image. I decided to do one of my wrapped-burlap twine bow ties and I think it really sets off the country feel of the image. I have the honor of being the first GDT on the brand new Sunday "Songs and Rhymes" challenge over at the Outlawz and I'm delighted to participate. 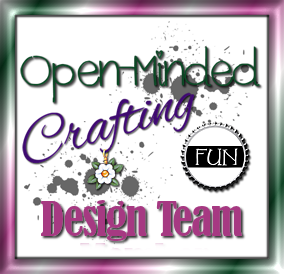 :-D Each week, they will have a song or a rhyme as the theme and you can create something which was inspired by it. This week, I was inspired by the whole "English Garden" idea and I am convinced that English Gardens are filled with fairy circles and all that comes along with those, including fairies and dragons and tiny-but-meaningful gifts. 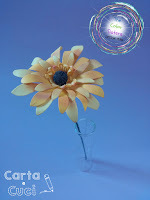 My card uses a delightful image from A Day for Daisies. ARTastic. Don't you just know there's a fairy in there somewhere? 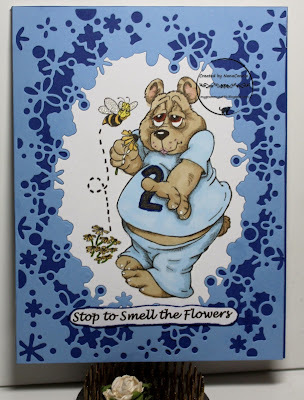 The image, which is printed directly onto the card front for a single-layer card, is colored with a combination of ProMarkers and polychromos pencils. My version of the color combo is soft, springtime pastels to enhance the feeling of a garden. 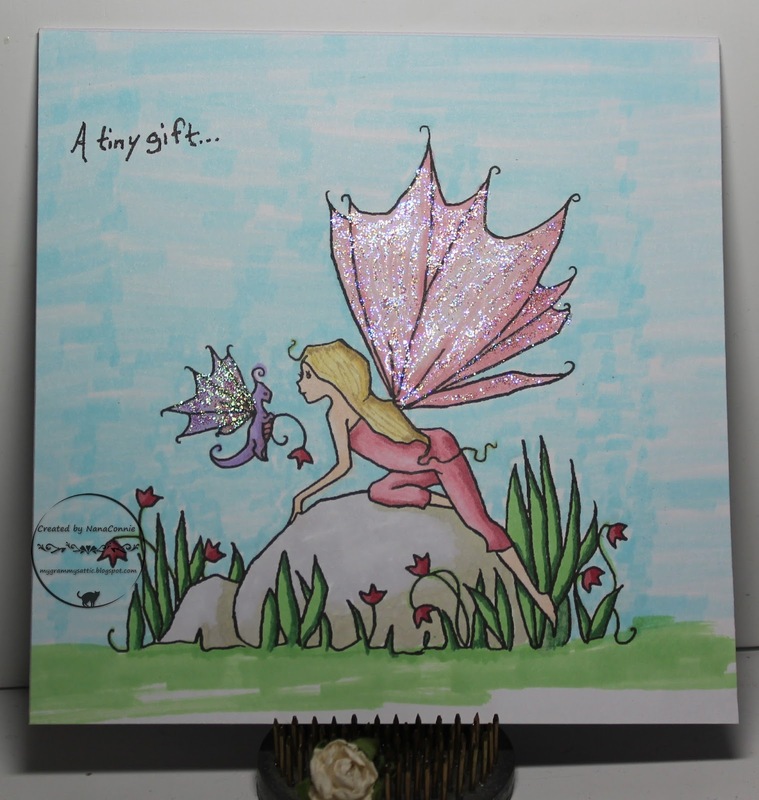 I added some Wink of Stella shimmer to the fairy's wings and sparkly glitter to the dragon's wings. As a salute to the previous requirement of CAS designs for the Sunday challenge, I kept this card very CAS, adding no embellishments other than the sparkle. I just had to do another AuroraWings sprite for their "Black and White with or without a Pop of Color" challenge. I enjoyed the one I did last week so much that I browsed through my extensive collection of AW images and found this one which I thought would work perfectly. I colored with ProMarkers and watercolors, then cut the image with old decorative scissors. How many of you still have decorative edge scissors? 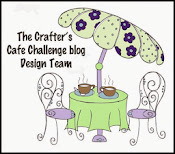 Come on, fess up - no crafter ever threw out any tools which still works! 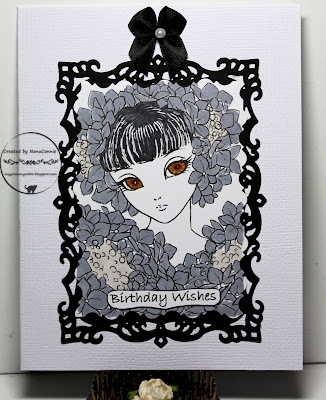 The black frame is cut with a die from Spellbinders. Everything is put onto an embossed (Linen folder) white card front. I printed and added the sentiment after hand cutting it and inking the edges. I really wanted to leave it fairly simple so I added only the black bow with a tiny pearl. Good Friday morning, friends and followers. It's time for another weekly challenge at QKR Stampede and our theme is Anything Goes, as always. 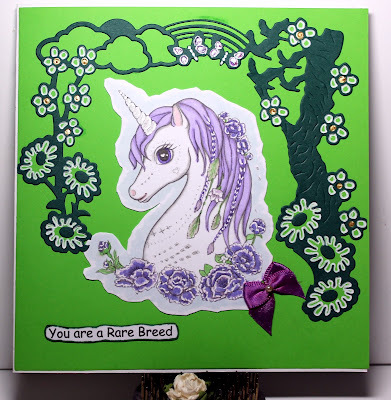 I found the most delightful Carousel Horse image and made this single layer card with it. 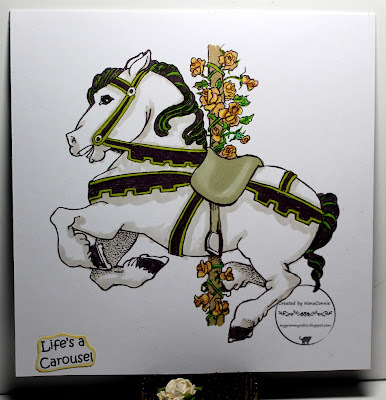 BTW, if you go searching for the image instead of just using the link I made, you need to know that in the store the name was inadvertently misspelled as "Carosel" Horse. When I was a child, I loved carousels and the horses were always my favorite of all the animals. Despite the exotic lions, or tigers, or even elephants, the horses were majestic and noble and that's why I loved them best. 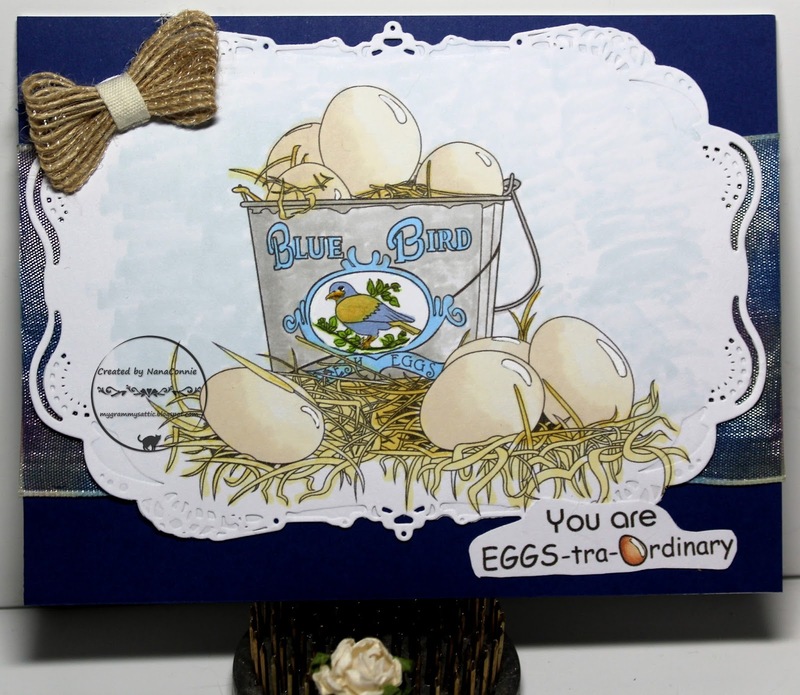 The image is printed directly onto the card front, then colored with ProMarkers and watercolor pencils. I wanted a monochromatic black and white with a pop of color from the roses. All the shading is done with gray ProMarkers.